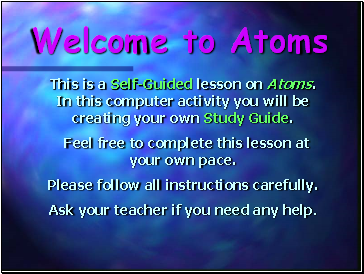 This is a Self-Guided lesson on Atoms. In this computer activity you will be creating your own Study Guide. Feel free to complete this lesson at your own pace. Ask your teacher if you need any help. 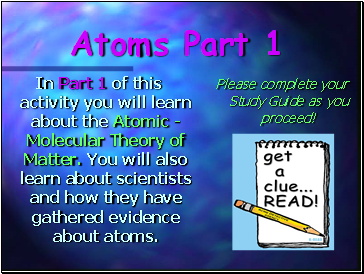 In Part 1 of this activity you will learn about the Atomic - Molecular Theory of Matter. 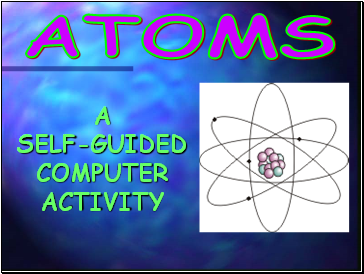 You will also learn about scientists and how they have gathered evidence about atoms. Please complete your Study Guide as you proceed! 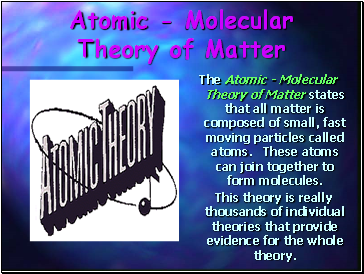 The Atomic - Molecular Theory of Matter states that all matter is composed of small, fast moving particles called atoms. These atoms can join together to form molecules. This theory is really thousands of individual theories that provide evidence for the whole theory. Since the atom is too small to be seen even with the most powerful microscopes, scientists rely upon models to help us to understand the atom. Believe it or not this is a microscope. 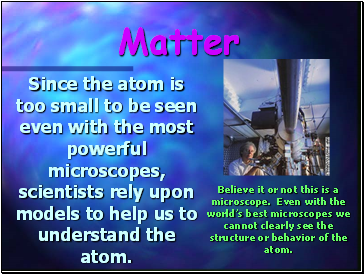 Even with the world’s best microscopes we cannot clearly see the structure or behavior of the atom. Scientists create models to help them to visualize complex properties, structures or behaviors. 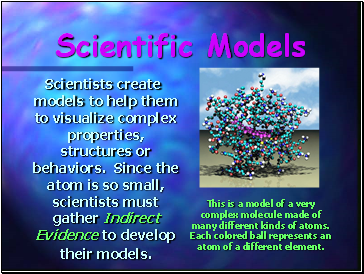 Since the atom is so small, scientists must gather Indirect Evidence to develop their models. This is a model of a very complex molecule made of many different kinds of atoms. Each colored ball represents an atom of a different element. What should a Model look like? Scientific models may not always look like the actual object. 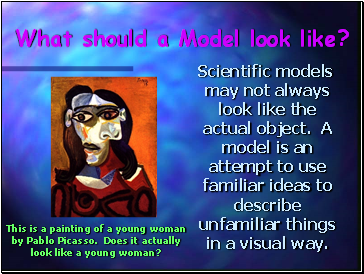 A model is an attempt to use familiar ideas to describe unfamiliar things in a visual way. This is a painting of a young woman by Pablo Picasso. Does it actually look like a young woman? Is this really an Atom? The model above represents the most modern version of the atom. Many of the models that you have seen may look like the one below. It shows the parts and structure of the atom. 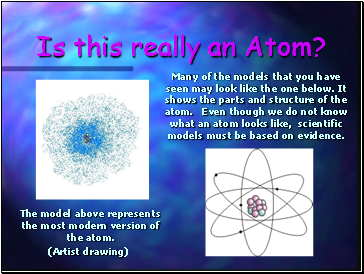 Even though we do not know what an atom looks like, scientific models must be based on evidence. How can Indirect Evidence be Gathered? Can a Model be Changed? Why are all Atoms are Electrically Neutral? Now you are off to Jolly Old’ England!